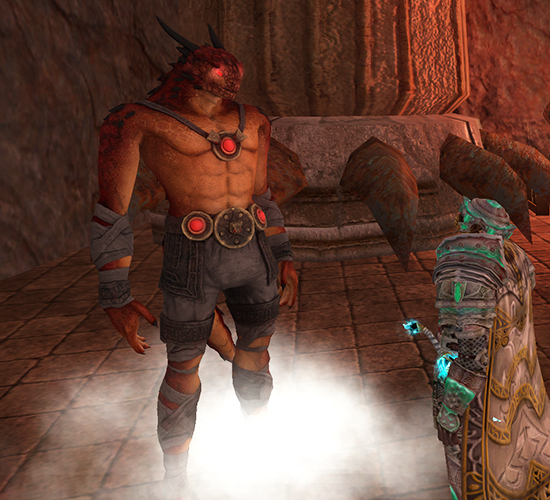 Kunark Ascending makes Ascension classes available as a form of progression for all max level characters. Ascension classes are the apotheosis of a facet of energy, and are the gateway to ascended power. Once you have completed the Kunark Ascending signature quest line you may speak with one of the four masters in the Obulus Frontier to begin down the path to Ascension. Each Ascension class grants the character the ability to shift into an avatar of that Ascension, converting all damage done from any ability that does not deal damage based on your weapon’s damage type. This conversion will also convert most pet and swarm pet damage. One of the proudest achievements in my EverQuest II history was acquiring my Eagle’s Talon epic weapon while Kunark was still fresh, challenging content. It took many months to find groups to get all the various group updates, many of which required defeating the hardest enemies in the game. Other updates required faction grinding (urrrgh Reet! ), collection quests, and other solo side quests. Sadly I could not find a screenshot of when I received the fabled Eagle’s Talon, but I do have the above screenshot of when I acquired the mythical version during my brief flirtation with raiding. When the Epic Weapon 1.0 quests went live in February 2009, nothing about them had been revealed as there had been no public beta test. They were a complete mystery. Players had to band together and use their knowledge of Lore to seek out the quest starters and find the updates and requirements themselves. Some classes took over a week to find their quest starter. Many of the quests had NO quest feather to help and some had extensive prerequisites requiring hours of gameplay to even start the quest. Fast forward to today, and most quests in EQ2 are expected to be straightforward and obvious, with few if any prerequisites. Not surprisingly, the announcement that EverQuest II’s upcoming thirteenth expansion Kunark Ascending would have some requirements and prerequisites from older content before players would be allowed to start the new stuff has been met with surprise and searing feedback. After much forum strife, one requirement was dropped: You no longer need to have done the Terrors of Thalumbra Signature quest before you can zone into Obulus Frontier, the expansion’s new overland zone. That’s not to say all requirements have been dropped. We are no longer requiring the ToT Signature quests to start the Kunark Ascending questlines for beta or when it goes live. These changes should be in ASAP. We’ll make sure it gets in the patch notes. The Ethereal Merchant is staying up indefinitely. After some very heated discussion, we have decided to make the Ethereal Runes heirloom when the expansion launches. After some even more heated discussion, we have decided to make the ethereal coins heirloom when the expansion launches. It’s a great week for you to “gear up”- from 12:00PM PT (Noon) on Friday, October 14, 2016 to 12:00PM PT (Noon) on Friday, October 21, 2016, ALL Players will receiveDouble Public Quest Rewards AND Double Loot 1.25 Times Loot! The Double Loot bonus will give you a 25% chance of getting double loot drops from all Terrors of Thalumbra, Scourge Keep, and Fabled Fallen Dynasty raid bosses, as well as from the final bosses in their heroic, event heroic, or solo zones. What are you waiting for? Get out there and get looting! Gear Up, Level Up has returned to Norrath! Gear Up, Level Up is when special weekly bonuses are available to be found throughout your adventures as you prepare for the upcoming expansion, Kunark Ascending. Beginning at 12:00PM PT (Noon) on Friday, October 7, 2016, ALL players (not just members!) will be able to get TRIPLE ETHEREAL COINS during this final week of the Summer Ethereals event! That’s right: Summer Ethereals end next Friday, along with this bonus promotion! So, make sure you participate before 12:00PM PT (Noon) on Friday, October 14, 2016,because that’s when both the Summer Ethereals event and the triple coin bonus end! Adjusted Silverwing’s script to account for charmed targets in regards to memwipes. Fixed a bug that allowed some players to enter with a mount activated. Handcrafted food and drink no longer give blue stats in Battlegrounds. Fixed the DPS amount on several Rise of Kunark era weapons. The reward for completing all the collections in Game Update 101’s Fabled Nizara has received a less than enthusiastic response from players. The item, Misstress Zhvari’s Sash of Station, has rather low stats given the difficulty of acquiring it. we’ll have it fixed next update. It should have 10 fervor and we upped the resolve and some other stuff, and now they are Fabled. You are taking a few liberties with this statement but to reiterate Kanders post and to ensure there aren’t concerns this hasn’t at least been communicated, there are no plans to do further itemization on current content. 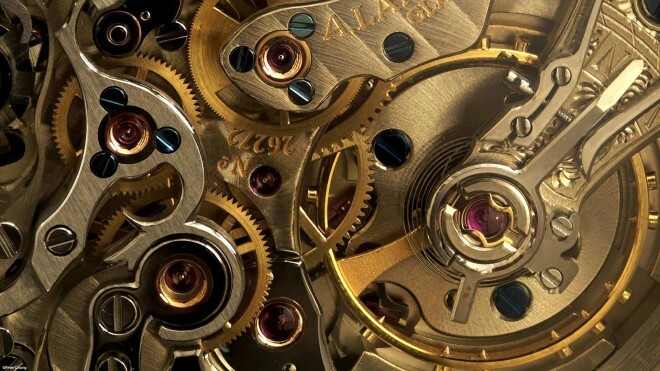 As with each expansion the team will work on what they feel is the most important and impacting gear but a complete overhaul is unfeasible. While we can appreciate the concern and passion, but our next itemization focus will be on the next expansion. Acquiring Mythical weapons and the defeat of Trakanon on the Race to Trakanon server seems designed to dovetail into this EverQuest II’s thirteenth expansion — Kunark Ascending — expected this November — which is rumored to include an Epic Weapon 2.0 questline. Corrected an issue with global NPC hit points that gave level 80 NPCs lower hit points then level 79 NPCs. This change smooths out the progress slightly lowering the HP on many encounters below level 80, and increasing the hit points on encounters between level 80 and 94. Vzee’rist the Overseer and Mistress Zhvari, Nizari’zhi will now switch targets less often. Weapons that had the default 3 second delay have been adjusted to 4 seconds or 6 seconds. Many versions of Aspect of the Dragon can no longer harm allies. Added the pet health share buffs to the Servant of Vazaelle and Elemental Manifestation. Added the Heirloom tags to some raid armor pieces that were missing them. All characters who were upgraded to [level 95] Heroic and did not receive Opegaz, Horde Bane have had it granted. K’huthas should no longer be stuck in combat if damaged too quickly. Fixed an issue with Devastation of War. Fixed the appearance of Nizari’oshu and Nizari Vindicae’s Pauldrons. Undying Destroyer’s Spiritstone will now fit in white adornment slots. Race to Trakanon claimable reward packs for Time-Locked servers now have distinct names from their live server counterparts. Kunark collection rewards have been updated to be in line with current progression. Ethereal Leach will now scale damage correctly against Public Quest encounters. 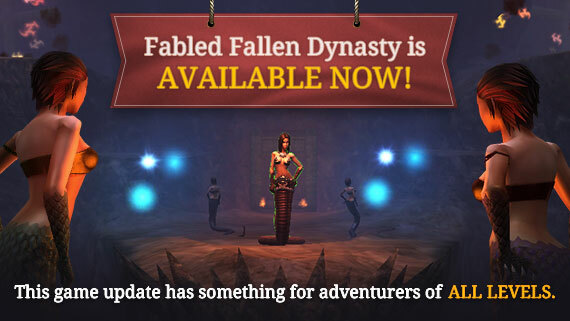 Game Update 101 — Fabled Fallen Dynasty & New Public Quests Now Available! A portal awaits you in The Village of Shin that will take you to new fabled versions of dungeons from The Fallen Dynasty. You must be Level 100 and have a membership to access these zones. 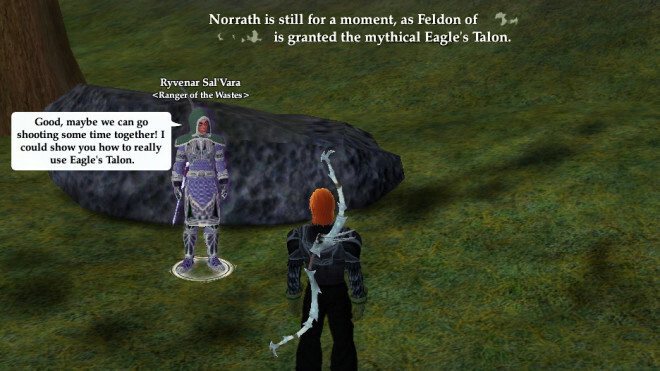 New, limited-time Public Quests are available throughout Norrath. Check your map to find these battle regions! As of midnight, it appears that Wave Three of Summer Ethereals have begun. As we wrote about earlier this year, rather than weapons, the new Ethereals are Jewelry and Charms, and in this case, a Cloak ( Bonecaster’s Mantle ). A player brought the rollover to our attention. While the new cloak offers a 15% damage reduction from elemental, arcane, and noxious damage, as well as +10.5 Fervor, it oddly includes a Daze effect. Disabling autoattack for an entire minute of combat seems like a non starter. Fixed an issue where a character’s backpack appearance would reset after zoning in certain situations. Equipment drops from Karnor’s Castle have been brought back down into progression. The final set of summer Ethereals is now available so earn them while you can! The second wave still has a few weeks in it, wave 2 ends and wave 3 begins later this month. False alarm folks! Wave 2 started on July 15th and I believe each wave is supposed to last at least a month. Game Update 101 to Launch Tuesday, August 23, 2016 — Public Quests, Fabled Mara, and More! New adventures await you, Norrathains! GU101 is scheduled to release on Tuesday, August 23, 2016, and there’s something in this update for players of all levels. These new Fabled dungeons can be accessed through a portal just off the docks in The Village of Shin. This content is intended for level 100 characters, and a membership is required to enter these zones. The Fabled Fallen Dynasty is made up of The Fabled Nizara, City of the Nayad which will have both Heroic and Advanced Solo versions! Also available will be The Fabled Cavern of the Crustaceans Raid for groups of 12 players and The Fabled Xux’laio’s Roost Raid and The Fabled Antechamber of Fate Raid for groups of 24 players. Beta Test: Game Update 101 — Public Quests, Level Agnostic to 100, and Fabled Mara! 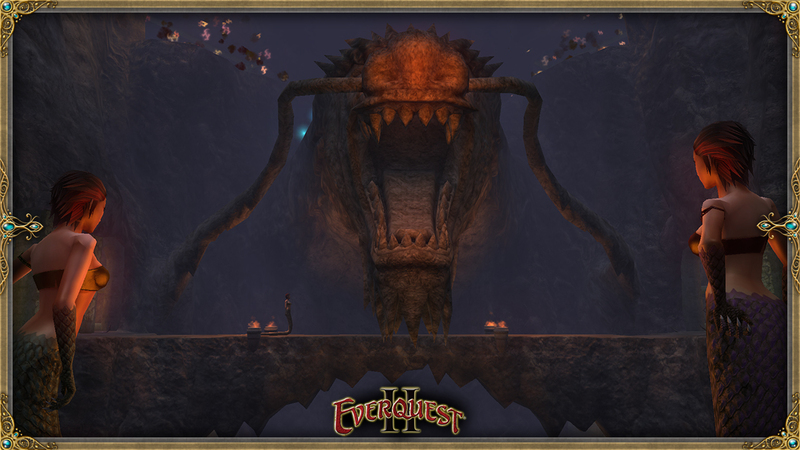 The EverQuest II team are working full steam ahead on the thirteenth expansion due to hit this November, but in the meantime, they’re getting ready to drop a whopper of a Game Update which should keep us plenty busy this summer. First up, the much beloved Public Quests first introduced in Destiny of Velious are making a return in current tier content. The EQ2 team have been given new tools to create PQs in weeks instead of months. In addition to faster development, the new tools promise to exhibit less server and client lag as the battles are underway. Game Update 101 will bring us more level 100 content in the form of Fabled Zones from the The Fallen Dynasty adventure pack. Nizara returns in Advanced Solo and Heroic versions, while x2 and x4 raids have both been added. Five new Level Agnostic Dungeons have been added to Dungeon Finder and they can be played by characters from level 10-100 with content scaling appropriately. Finally some quality-of-life tweaks have been made, and healers who cast Wards will want to check out some changes to how these mechanics have changed. 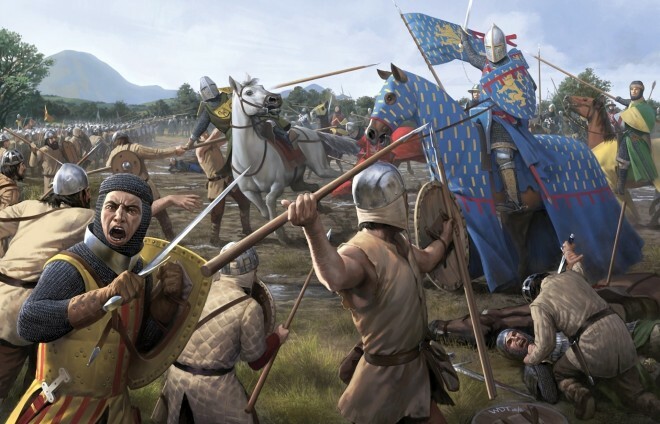 Please note that the Game Update 101 Beta Test is currently invitation-only. You can try out GU101 on the Test server, but there is no character copy capability.